Click image to see clip! Had a great time chatting with Lauren Dawn this morning on FOX29 Weekend about Secret Deodorant’s “Mean Stinks” campaign which encourages girls of all ages to “gang up for good” because, well… mean stinks! I guarantee your daughters and their friends will have such a blast doing this! It’s another one of those great conversation starters that makes them really think about how they interact with their peers whether it’s at school, on the bus, on a team, etc. 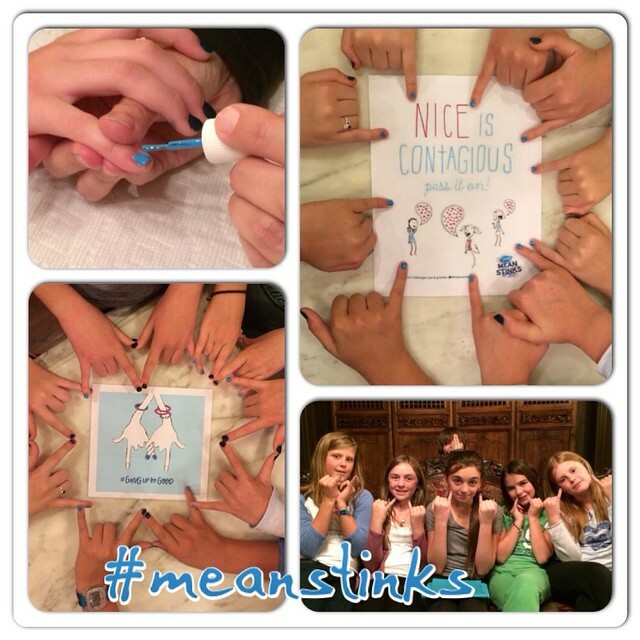 So get a group of girls together and share those blue pinkies! If you tag me @SophieSelfie on Instagram, I will be sure to repost! I am also proud to be connected with Lauren Galley, Founder of Girls Above Society and recently named Official Mean Stinks Ambassador. She is the kind of role model we can feel comfortable encouraging our daughters to follow if they are socially active online.